We’re gearing up for a packed day at tomorrow’s DIEM 2014. 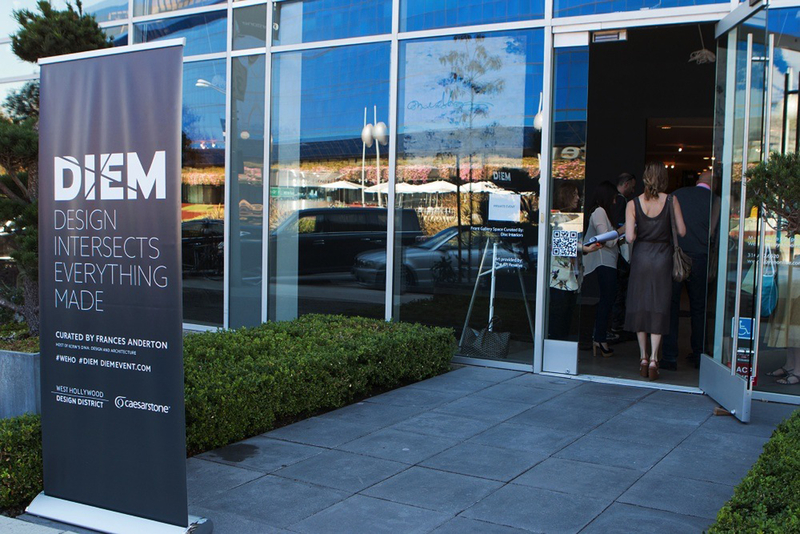 For those who don’t know, DIEM stands for “Design Intersects Everything Made” and offers a day of culturally resonating discussions, panels and keynotes, presented by the West Hollywood Design District. DIEM 2014 is curated by Mallery Roberts Morgan, Design Writer and Curator, Correspondent for AD France (Architectural Digest France), with Frances Anderton, Host of KCRW’s DnA: Design and Archiecture. We had the pleasure of collaborating with these two design luminaries on a WestEdge panel discussion last month so know attendees are in for a treat. Below is the line up for tomorrow. We hope to see you there! Location: Design Within Reach 8612 Melrose Ave.
11:15 a.m. Rethinking Retail: Does Main Street Matter? Location: Woven Accents 8674 Melrose Ave. Location: Camerich Los Angeles 461 N Robertson Blvd. 2:15 p.m. Do Designers Need To Become Brands? Location: Niche 8770 Beverly Blvd. 3:30p.m. Open Forum: Social Entrepreneurship – Very Good Or Too Good To Be True? Location: Custom Comfort Reserve 8919 Beverly Blvd. Location: MASS Beverly 9000 Beverly Blvd. 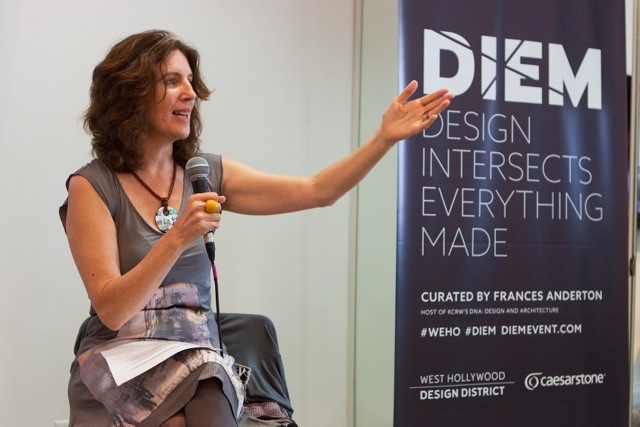 Share the post "Don’t Miss West Hollywood Design District’s DIEM 2014- Tomorrow, Nov. 14"